Jessica Adams earned her PhD at Tulane University. 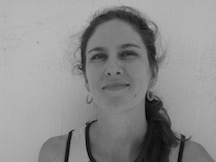 Her areas of academic interest include cultural performance, the US South, and the relationship between violence and memory. She has taught at both Tulane University and the University of California at Berkeley. Adams has published articles on Southern and Caribbean culture in Cultural Critique, TDR (The Drama Review), and Sargasso. She is co-editor of Revolutionary Freedoms: A History of Survival, Strength, and Imagination in Haiti (Caribbean Studies Press 2006) and Just Below South: Performing Intercultures in the Caribbean and the Southern United States (University of Virginia Press 2007). 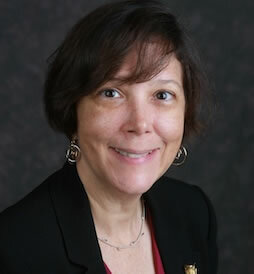 In addition, she is the author of Wounds of Returning: Race, Memory, and Property on the Post-Slavery Plantation (University of North Carolina Press 2007), which draws from cultural studies, ethnography, and literary criticism to examine links between plantation landscapes, sociocultural hybridity, and modern consumer capitalism. Adams co-edited a new edition of African American writer Arna Bontemps’ Drums at Dusk (Louisiana State University 2009), a novel about the outbreak of the Haitian Revolution that was previously out of print for seventy years. In addition, she is the co-editor of Guantánamo and American Empire; The Humanities Respond (Palgrave Macmillan, 2018). Mary Ann Gosser received her PhD in Comparative Literature (Spanish and French) from Yale University. She is Professor of Spanish and Comparative Literature at Florida Atlantic University. Her areas of academic interest include Caribbean women writers, translation studies, and ecocriticism. Gosser has published numerous chapters and articles. Among her anthologized chapters are “Latin American Women Moving Forward by Breaking the Silence” (Peace Education Foundation 2008), “Marie (Vieux) Chauvet y Myriam Warner-Vieyra: diarios demenciales o escrituras esculcantes” (Colegio de México 2003) and “Caribbean Creolization: Jacqueline Manicom and Guadeloupean Ecofeminism” (in Japanese, Tokyo University Press 2002). Examples of her articles on women writers include work on Rosario Ferré, Mayra Montero, Olga Nolla, and Ana Lydia Vega, published in the journals Alba de América, NewMango Season, Confluencia, and Chasqui, respectively. She is currently revising a book-length manuscript on Caribbean ecofeminism. 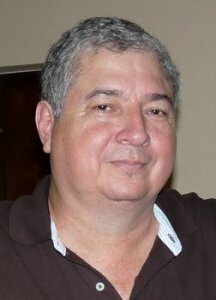 Edgardo Pérez Montijo holds a PhD in English from the University of Puerto Rico at Río Piedras. He is Professor of Spanish at the University of Puerto Rico at Arecibo. His areas of interest include narrative of the English, Spanish, and French-speaking Caribbean and the theory of performance. He has published essays about Caribbean literature in such journals as La Torre, Sargasso, Forum, and El Amauta. His article “El Nene como chivo expiatorio: Identidad de clase en La guaracha del Macho Camacho” will be included in a forthcoming volume in tribute to Puerto Rican writer Luis Rafael Sánchez. He is currently revising his dissertation, Earl Lovelace: Performance Writer, a study of the use of performance in the novels of the Trinidadian author, for publication. Peter Roberts holds a PhD from the University of the West Indies at Mona. He is Professor of Creole Linguistics in the Department of Language, Linguistics, and Literature of the University of the West Indies at Cave Hill, Barbados. His areas of academic interest include applied linguistics, creolistics, and Caribbean history. A former President of the Society for Caribbean Linguistics, he has held Visiting Professorships at the University of Tennessee, Knoxville and the University of Puerto Rico, Río Piedras. He also served as a Senior Fulbright Fellow at the John Carter Brown Library, Brown University. Roberts has published extensively. He is the author of West Indians and Their Language (Cambridge 1988), CXC English (1994), From Oral to Literate Culture: Colonial Experience in the English West Indies (University of the West Indies 2000), and The Roots of Caribbean Identity, Language, Race and Ecology (Cambridge 2008). The Roots of Caribbean Identity received the 2009 Gordon K. and Sybil Lewis Award. In addition, he is the co-author ofWriting in English (1997). 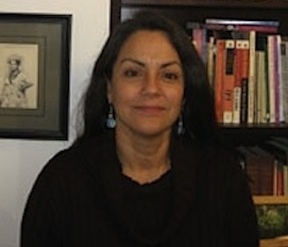 Ivette Romero was awarded her PhD in French and Latin American Literature from Cornell University. She is Professor of Spanish at Marist College. Her main areas of academic interest are: Caribbean literature and visual arts, Latin American and francophone literature and cinema, cultural studies and women’s studies. 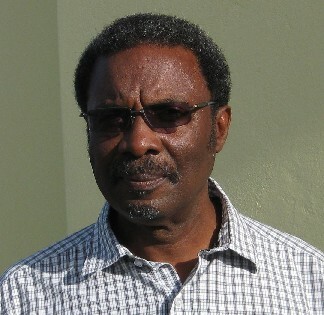 Romero is the co-editor of two books, Women at Sea: Travel Writing and the Margins of Caribbean Discourse (St. Martin’s 2001) and Displacements and Transformations in Caribbean Cultures (University Press of Florida 2008). She is also the author of numerous book chapters, including “Women Adrift: Madwomen, Matriarchs, and the Caribbean” (Palgrave/St. Martin’s 2001), “Travelers Possessed: Generic Hybrids and the Caribbean” (Routledge 2002), “Moving Metaphors: The Representation of AIDS in Caribbean Literature and Visual Arts” (University Press of Florida 2008). 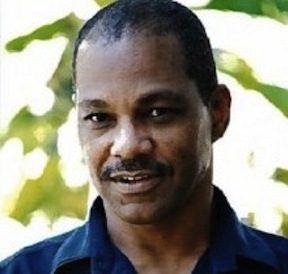 In addition, Romero is the co-founder, editor, and administrator of Repeating Islands Blog (http://repeatingislands.com), a site for news and commentary on Caribbean culture, arts, and literature. Felipe Smith earned his PhD from Louisiana State University, after completing his dissertation, “The Dark Side of Paradise: Race and Ethnicity in the Novels of F. Scott Fitzgerald.” He began teaching in English at Tulane University in 1988, where he has taught American literature, African-American literature, and literature and culture of the African diaspora. Recent courses include “Primitivism /Modernism,” “Le Tumulte Noir: Black Expatriates in Paris,” “New Orleans in Words and Music,” and “Modern Alienations.” Smith is one of the founders of the program in African and African Diaspora Studies, which he currently directs. In addition, he is the recipient of awards and fellowships from the National Endowment for the Humanities, the Ford Foundation, and the Mellon Foundation. Smith’s 1998 book, American Body Politics: Race, Gender, and Black Literary Renaissance (University of Georgia Press), addresses the cultural politics of the racial and gender classification of American bodies as a shaping influence in the development of writers such as W.E.B. Du Bois, Charles W. Chesnutt, Pauline Hopkins, and James Weldon Johnson around the turn of the last century. He has also published essays on Toni Morrison, Alice Walker, F. Scott Fitzgerald, Claude McKay, and the Zulu Social Aid and Pleasure Club. He is a founding member of CubaNola Collective, an organization that promotes cultural interchange between the US and Cuba. Smith is currently working on his second book, a manuscript that treats issues of race and primitivism in modernist literature, The Dark Side of the Modern: Race and the Jazz Age.